The File Explorer or Windows Explorer in Windows operating system has not seen any major changes for a long time. The introduction of ribbon is probably the biggest change happed to File Explorer in recent times. The navigation pane in File Explorer is helpful to quickly navigate between various locations on your PC. For those who don’t know, navigation pane is the far left-pane in the File Explorer. 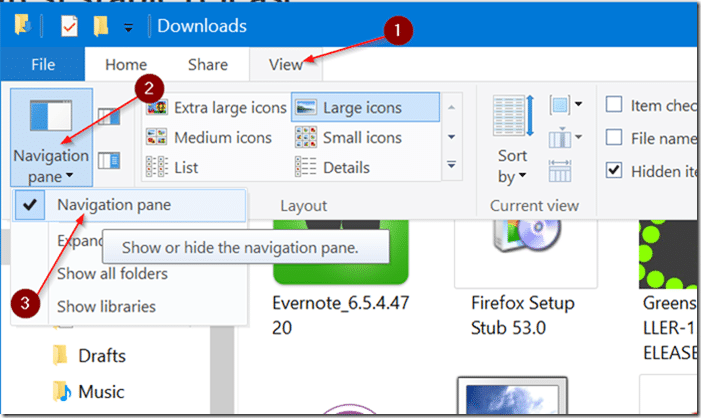 The navigation pane displays Quick Access, OneDrive folder, This PC, and Network locations. The navigation pane is very handy to access your frequently accessed folders (Quick Access), your OneDrive folder and other drives on your PC and network location. It can be tweaked to add other useful locations such as Recycle Bin and Control Panel as well. Most PC users, prefer the default look and feel of File Explorer and navigation pane. But there are users who, at times, want to hide the navigation pane. 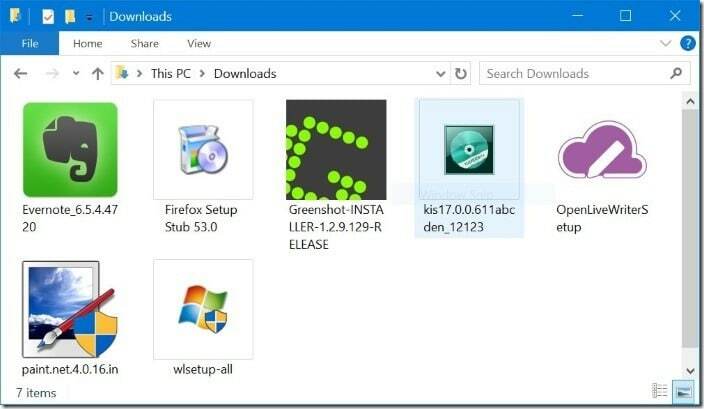 In our opinion, the File Explorer is of no use without the navigation pane. 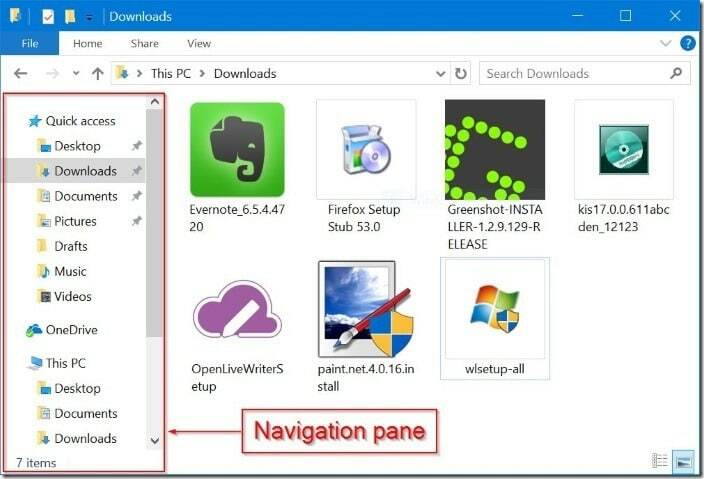 If, for any reason, you want to show or hide the navigation pane in Windows 10 File Explorer, you can do so by completing given below directions. 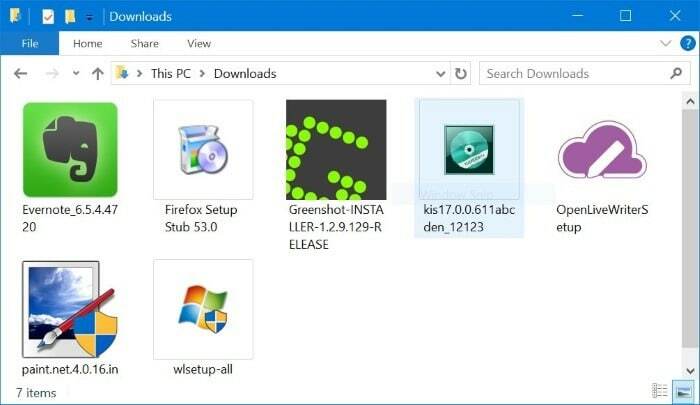 Step 1: Open File Explorer either clicking its icon on the Start or taskbar or using Windows logo + E hotkey. Step 2: Click the View tab. Click Navigation pane icon and then uncheck Navigation pane option to hide the navigation pane. To show the navigation pane again, select the Navigation pane option. Tip: You can show or hide the File Explorer using the Ctrl + F1 hotkey. Thanks for sharing this nice article about How To Show Or Hide File Explorer in Widnow 10 ! Lot of people don’t know that how to Show Or Hide File in window 10 but this is very simple & easy steps to make a file hide and show in window 10 !